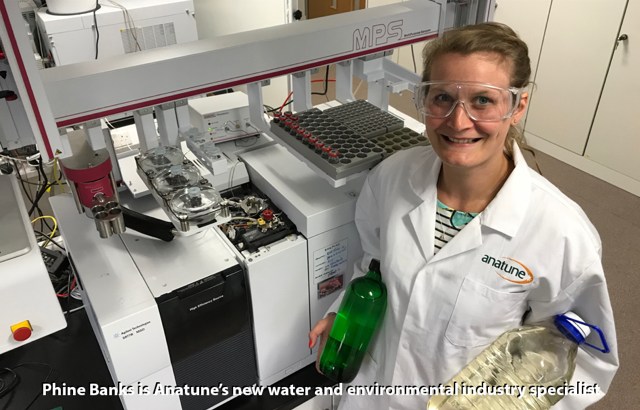 Anatune are exhibiting at the Water, Wastewater and Environmental Monitoring (WWEM) meeting next week, and if you haven’t already registered to go, we would like to invite you as our VIP guest and allow you free access to all of the technical programmes at both this meeting, and the Air Quality and Emissions (AQE) show, which are being held at the Telford International Centre. You can register here. You will find us at stand no. 81, which is right by the catering stand, so grab a coffee and come and see us. Phine Banks is presenting on the first day at 11.15 am in conference room 3, ‘Using Automated On-Line Monitoring to produce Lab-Grade Data for Monitoring Pollutants’. This presentation is about the on-line project we did with Affinity Water, explaining the how, why and when’s of the project, as well as the logistics. Kathy Ridgway will be presenting on the second day at 3.30 pm in conference room 3, ‘Taste and Odour Challenges and the World’s Most Sensitive Detector’. This presentation will give an overview of the considerations for taste and odour analysis, in particular the importance of linking to sensory evaluation. Examples will be given for both known and unknown analytes. We are also holding a workshop, ‘On-Line, Real-Time Autonomous Chemical Analysis – How Far Will This Go?’. The aim of this workshop is to show you the analytical capability we have in the lab running a variety of applications, any of which could be taken out of the lab and run as autonomous on-line systems out on water treatment works. This will be at 4 pm on the first day in Seminar Room 5. If you are going, pop along to see us, it would be great to see you. If you are not attending, it’s not too late – click on our VIP link and register today.